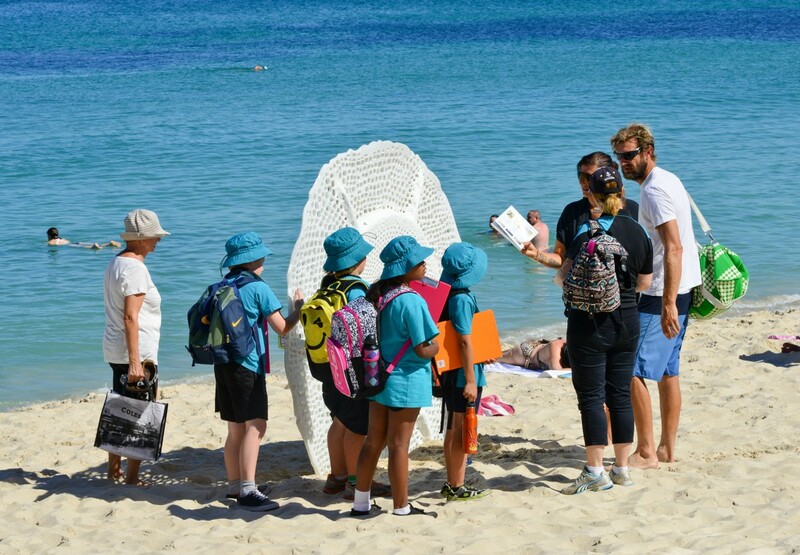 Self-guided school group, Sculpture by the Sea, Cottesloe 2018. Photo Jessica Wyld. 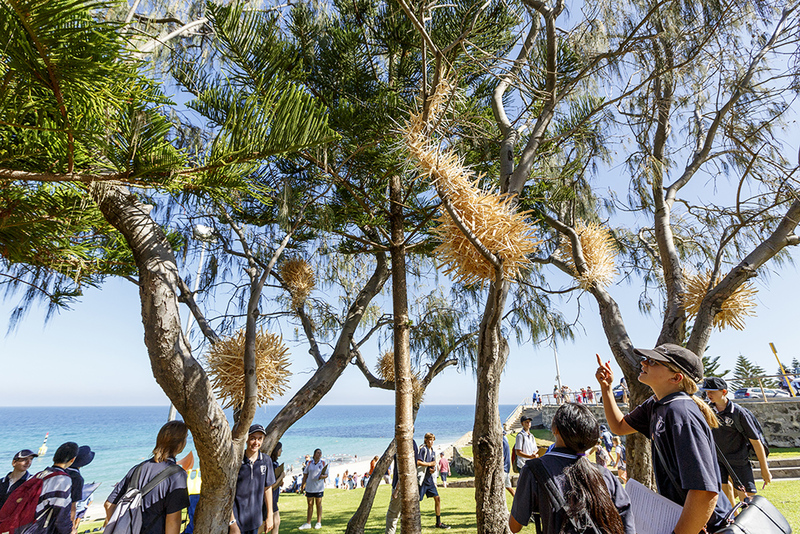 Self-guided school group, Sculpture by the Sea, Cottesloe 2018. Photo Richard Watson. 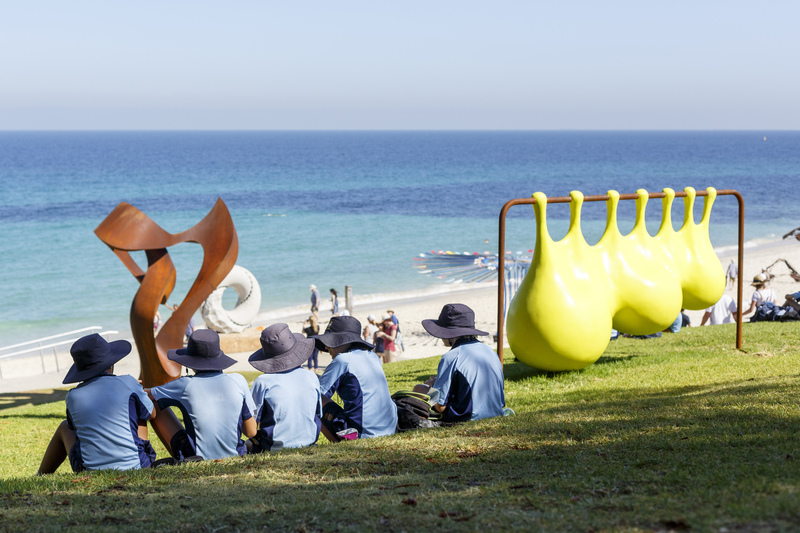 If you are planning a Self Guided visit to Sculpture by the Sea please complete the online booking request form. This allows us to manage groups and numbers each day and to notify you of anything that might affect your visit. There is a drop-off and pick up area is on Marine Parade. Once students have been dropped off coaches/buses need to find parking. Please do not stop at any of the public bus stops in the area. 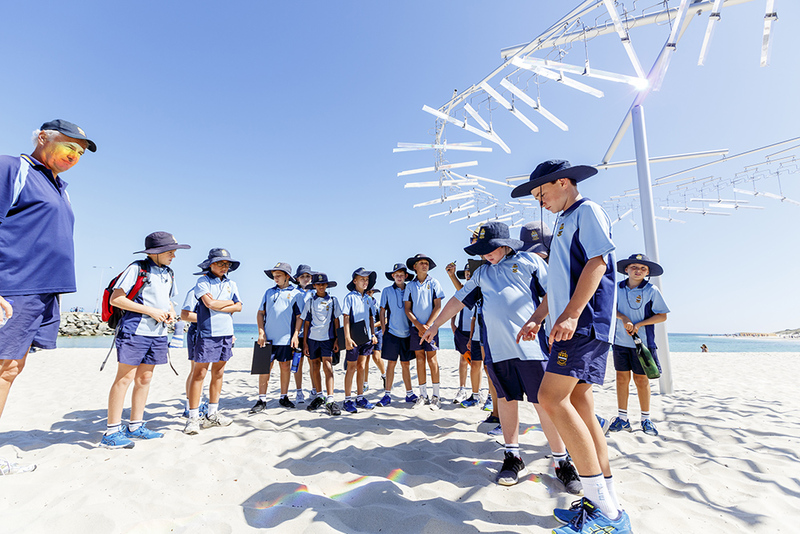 It is the responsibility of the school to provide a supervisory team that meets the specific requirements of the excursion as determined by the school principal. In the interest of the safety of the public and also the artworks, it is imperative that your students are made aware of the symbols on the first page of the Kid’s Guide and also the black placards located beside the artworks prior to and during their self-guided tour. The Kids’ Guide symbols will indicate if a sculpture is safe or appropriate to touch. For example, highly polished surfaces cannot be touched but are wonderful for looking at reflections. 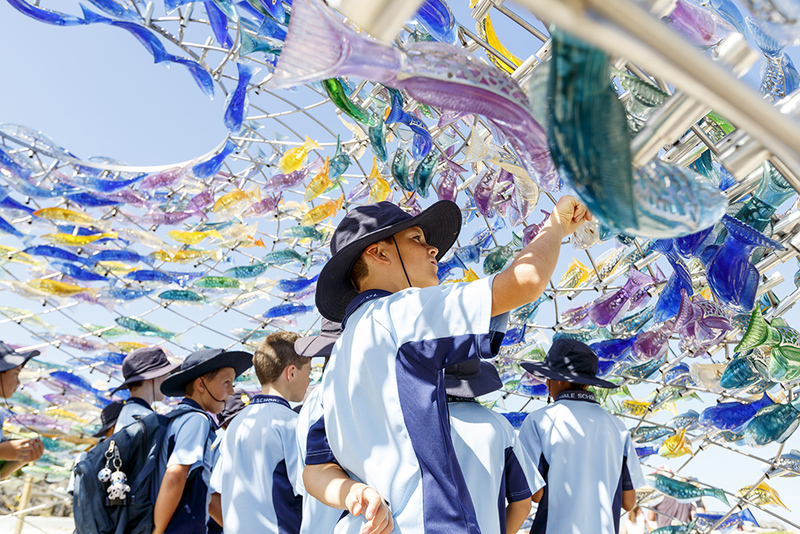 It is the responsibility of the school supervisory team to develop appropriate strategies to address the risks associated with the proximity of activities to artworks within the environment, and open water in particular. 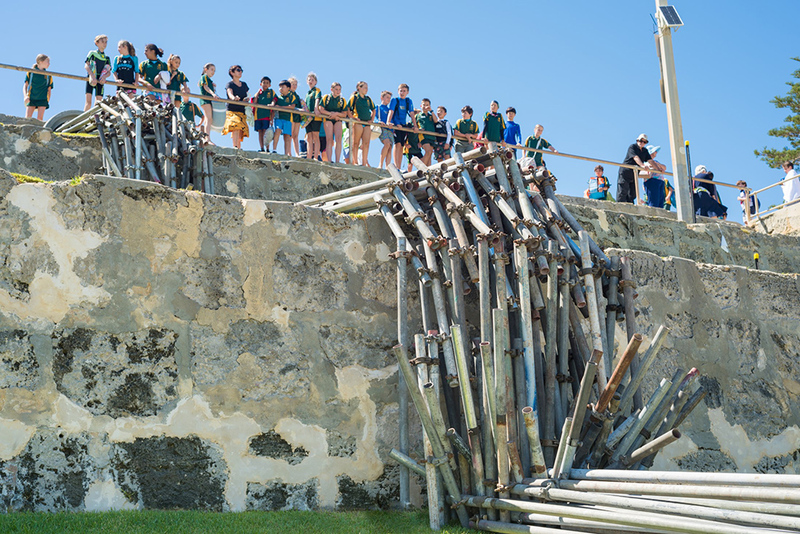 To download an Education Kit and Excursion Management Information click below.